There's no denying that Columbia, Maryland is a uniquely amazing place to live--one of the best in the country, for that matter! 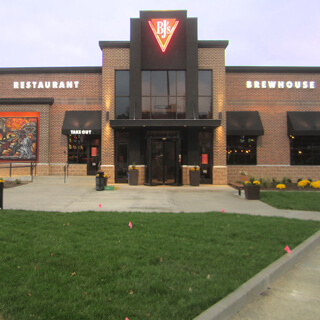 BJ's Restaurant & Brewhouse is proud to now be open in Columbia, offering great food, beer, and ambience to the community. You can read about some of what we offer below, then head on in to experience it for yourself! BJ's Restaurant & Brewhouse began as a pizza place in Southern California, and we've continued to dedicate ourselves to serving up amazing pizzas. Our Signature Deep Dish Pizza is a unique take on classic Chicago-style pizza that adds in some California-style innovation. Choose between one of our varieties like Spicy Hawaiian Chicken pizza, Vegetarian pizza, Pepperoni Extreme pizza, and Sweet Pig pizza, or build your own with our selection of toppings! If you want something a little different, you can also find Tavern-Cut pizza and gluten-free options. Pizza may have been our starting point, but BJ's Restaurant & Brewhouse has grown to offer an extensive menu of tantalizing meals. Our Handcrafted Burgers are the stuff of legend, and the Bacon-Guacamole Deluxe Burger is particularly popular here in Columbia, MD. Check out other options like Enlightened Entrees®, Pasta Favorites, or seafood like the local favorite BJ's Brewhouse Blonde® Fish ‘N' Chips. Don't forget about dessert; our world-famous Pizookie® is something you simply have to try, whether you choose a classic flavor like the Chocolate Chunk Pizookie® or something more innovative like the Churro Pizookie® or BJ's Peanut Butter S'mores Pizookie®. 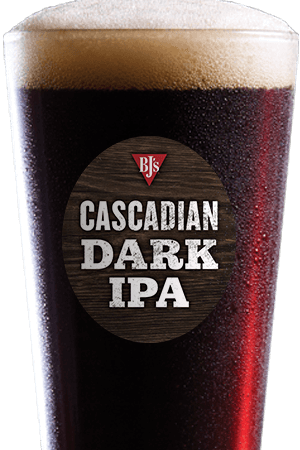 When it comes to beer, we know what we're doing here at BJ's Restaurant & Brewhouse. We offer a variety of handcrafted beers that have won over 160 awards over the years, so it's safe to say we know a thing or two! We have beers to delight all kinds of beer-drinkers: hopheads will love our intense Piranha® Pale Ale or Hopstorm® IPA, while those who prefer malty, balanced session beers will enjoy our Oasis® Amber or Nutty Brewnette® American Brown Ale--and don't miss the smooth, sweet, nitrogen-conditioned PM Porter®! If you need to cut back on calories, you'll find that our LightSwitch® Lager has much more flavor than other light beers. 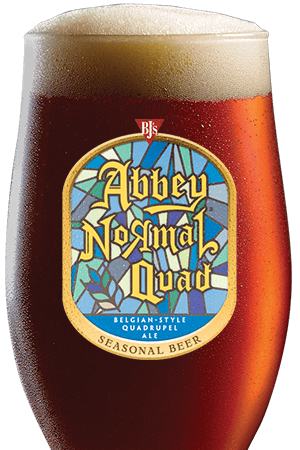 We also offer seasonal varieties and guest beer taps, so be sure to come back often! 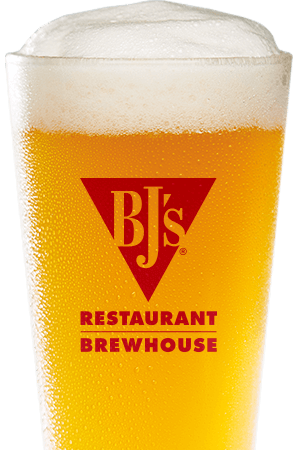 No matter what you're looking for when you go out to grab a bite or a drink, you'll find that BJ's Restaurant & Brewhouse is the perfect match. Family dinners in Columbia, MD, date nights, business lunches, and special events all happen regularly at BJ's--or you can just saddle up to the bar and grab a handcrafted beer while you watch the game or chat with friends. We're happy to be part of the Columbia community, and we can't wait to see you here at BJ's Restaurant & Brewhouse! This is our fourth BJ's location in Maryland. Come in and try a skosh of our beers, or if something sweet is your preference try our world famous Pizookie!